Exactly two weeks ago to the day, T-Mobile subscribers ran into some problems with a glitch on the carrier's network that prevented consumers in 12 states and Washington D.C. from going online or using apps on their phones. That day, the peak of the outage took place around 10am EDT. As Yogi Berra would have said, for T-Mobile subscribers it's Deja Vu all over again as many are phoning in complaints today about not being able to make or take calls, and send or receive data. According to a graph from DownDetector.com, subscribers started reporting problems with the T-Mobile network early this morning, and those complaints continue to rise in volume. 51% of them revolve around internet related problems, a quarter of those complaining say they have no signal, and 22% report that they can't make or take calls. While T-Mobile subscribers in New York and Minneapolis say that their service is now working, subscribers in Louisville, Kentucky and other locations say that they cannot text or go online. During the course of the day, we will update this story as conditions warrant. If you are a T-Mobile customer, you might want to check in often. Original complaints came from the carrier's subscribers in New York, Brooklyn, Chicago, Mountain View, Houston, Washington, Philadelphia, Minneapolis, Atlanta, and Dallas. It's weird for this to happen again so soon. Glad to not be on T-Mobile this time like I was when this happened. Had data issues for a short period this morning in NE FL. not the end of the world. all carriers have issues. All I've gotta say is that although T-Mobile has had a few rough patches, it's still the best choice. Here's why: No contracts (how much is an early termination fee? 2yr contract? ) A fast growing network with Coverage through out the country. (except out in the boonies, but it'll get to you guys soon) The first carrier to take a leap into new technology (coming soon) Roaming world wide included for free (unl data & sms in over 140 countries) T-Mobile Tuesday app giveaways (even for non-customers). Digits (one phone up to 5 numbers). 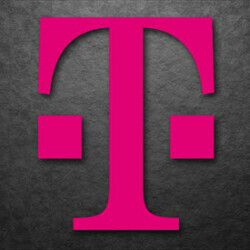 SyncUp (WiFi for your car) A great customer service 24 /7/365 to help, with 2 back to back #1 J.D. Power awards for great customer service to prove it. (T-Mobile doesn't hire based on accents, sorry.) T-Mobile can't please everyone.